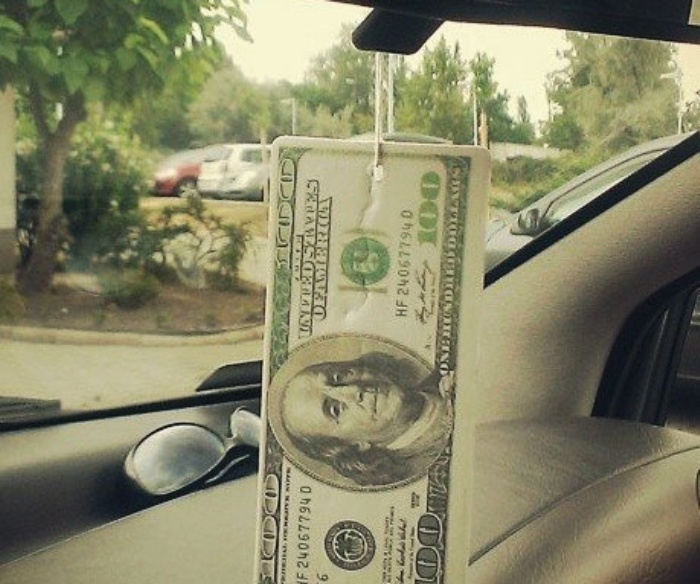 Smell Rich: Hundred Dollar Bill Air Freshener | OhGizmo! You can make your car smell like you’ve got a million bucks (or at least used it to transport a gazillion dollars) even though you’ve got nothing but tens and twenties in your wallet with this fresher. Hang it in your car and make it smell like Vegas!